World Council of Churches general secretary Rev. 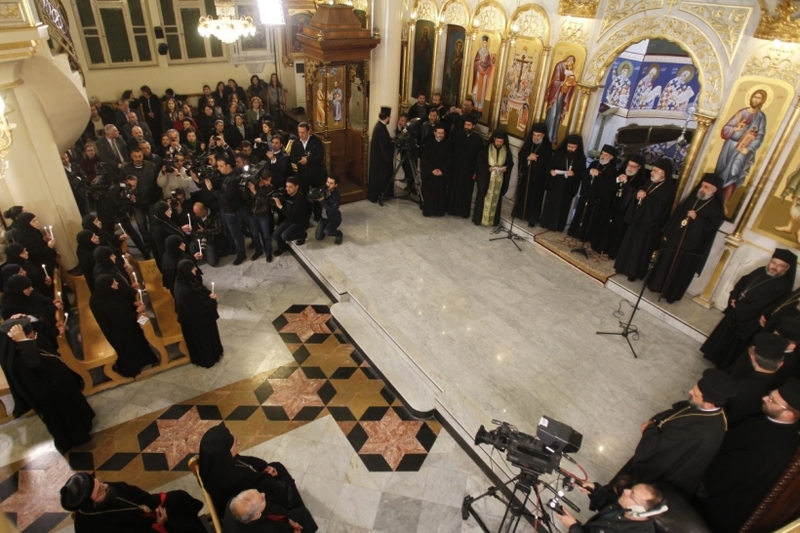 Olav Fykse Tveit says the fervent prayers of Christians throughout the world were answered with the release of Greek Orthodox nuns kidnapped by rebels in the Syrian Christian town of Maaloula. News agencies reported that a group of nuns from the Convent of St Thecla, abducted in December 2013, had been freed as part of a prisoner exchange. In a letter sent to John X, Greek Orthodox Patriarch of Antioch and all the East, on 10 March, Tveit expressed “great joy” on the news. Tveit said their release raises hope for the freedom of Archbishop Mar Yohanna Gregorios Ibrahim, Archbishop Paul Yazigi, Fr Maher Mahfouz of the Greek Orthodox Church, Father Michel Kayyal of the Armenian Catholic Church and Father Paolo Dall’Oglio, a Jesuit priest. The five clerics were kidnapped last year. Tveit wrote, “Innocent children, women and men are being killed, wounded, traumatized and driven from their homes in uncounted numbers. Since the conflict began in Syria, the Geneva-based WCC, which represents more than 500 million global Chritians has made several appeals for the cessation of violence in Syria and freedom for the abducted people in the country. In a recent meeting with Pope Francis, Tveit also mentioned support of the WCC member churches towards efforts for peace in Syria. “As the WCC, we do what we can to nurture the hope of peace with justice for the people of Syria and for the future presence and witness of the Christian churches in the Middle East,” he said.